Digital Signage is a powerful way to make the most out of your advertising dollars by creating new opportunities to advertise and liven your message. The use of Digital Signage technology will make your message more noticeable and most importantly, more memorable. You can deliver timely, targeted messages that inform, educate and motivate your audiences. Banks – List current interest rates, offers and services. Law Firms – Lobbies offer information on services, background of firm and client concerns. Doctor Offices – Health information and recommendations, office hours, as well as billing information. Restaurants – Menus, specials of the day, and wait times. Car Dealers – Sales and events. Department of Transportation – Digital signs are used on highways to inform of road conditions and traffic delays. Airports – Flight arrivals and departures, advertising. Corporations – Human resource updates, wait times, calls waiting in call centers and promotional updates. 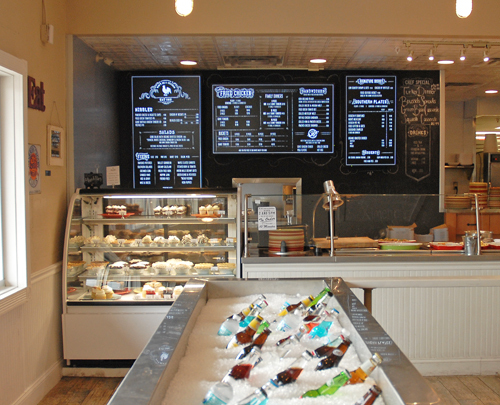 Retail – Digital signs are used to great advantage both inside and out to grab attention and bring in customers. Education - Campus maps, events, menus, news, contest status. Whether you require signage for one location or want all of your branch offices connected, we can create a system designed for your particular needs. We will provide you with the ability to produce high impact presentations across a network of digital signage screens quickly and easily.